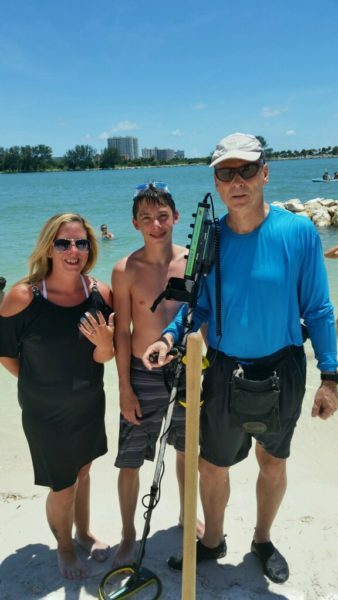 During the month of October 2016, SRARC Ring Finders member Mark Sillence was metal detecting at Clearwater Beach, Florida and in one foot of water obtained a strong signal. 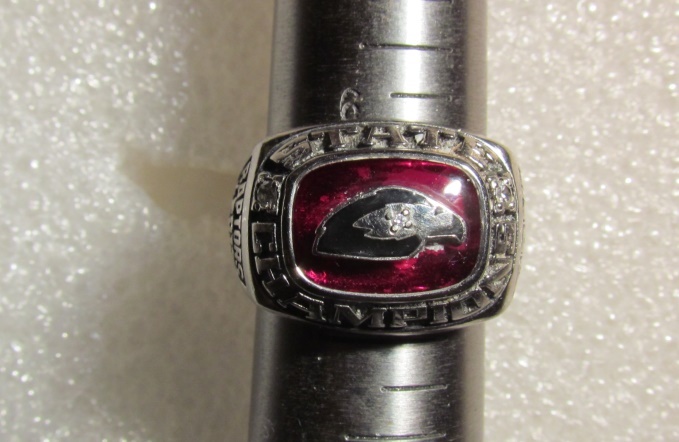 Up from the scoop, laid a beautiful school ring with a genuine ruby center gemstone. 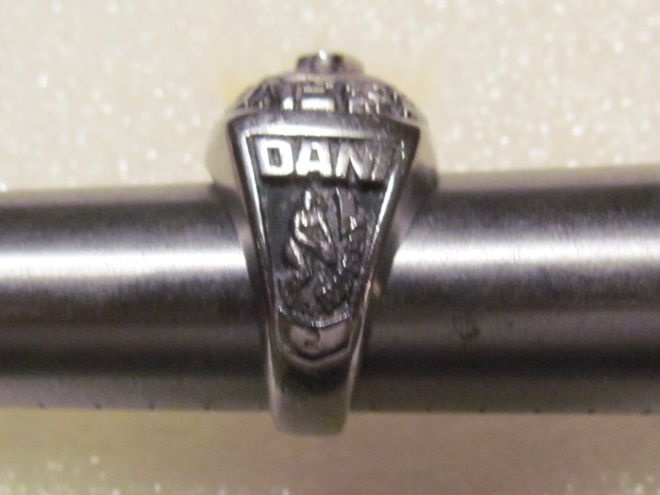 Mark obtained the following information from the ring: Rugby; State Champion; and bearing the name of Dani Dieringer. Browsing the web, Mark obtained Dani’s Facebook page and left her a message. However, it did not appear Dani was on Facebook that often. Mark continued his search and located the web site of the Rugby Team and contacted one of the coaches whom in turn, reached out to Dani. 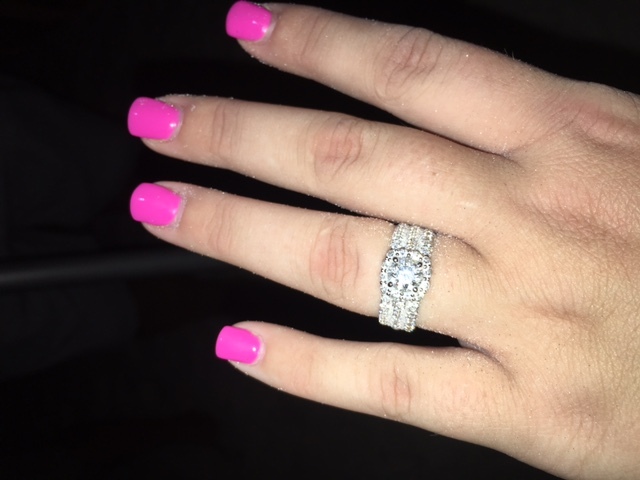 Dani stated that while enjoying the sun at the beach on September 21, 2016, she lost the ring while in the water. The ring was subsequently returned to a very happy Dani, whom thought the ring was forever lost. Jennifer along with her husband and son had spent a day at Fred Howard Park Beach on Labor Day weekend. 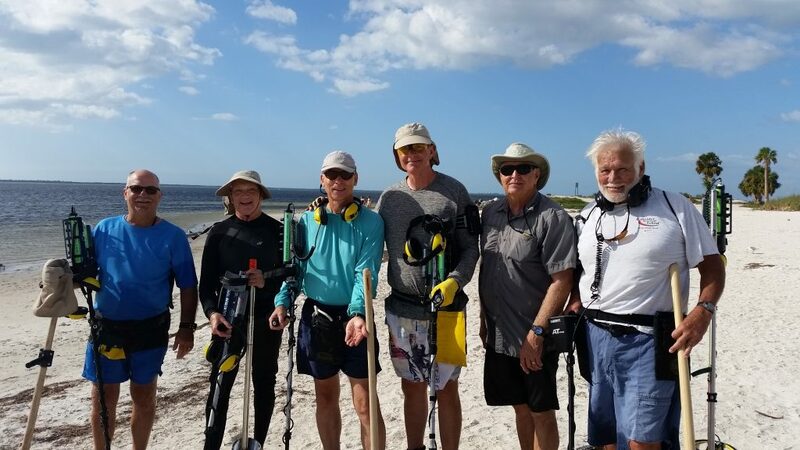 After putting suntan lotion on, her husband and son snorkeled over the grass flats looking for fish. Some time during their swim his ring which was handed down to him from Jennifer’s grandparents from Germany slipped off. Mike Miller asked Howard Metts to set up a hunt which included members Mark Silence, Jim Adams, Bill Galant, Mike Shuler, Ed Osmar, and Howard Metts. It had been over a month since the ring was lost so expectations were not high. 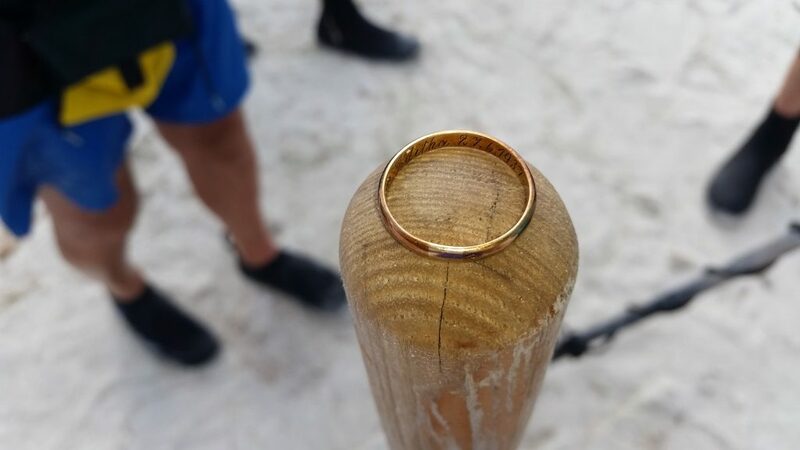 Ten minutes into the Hunt Howard Metts found a gold ring and brought it to shore were Jeanine Metts and Gerri Adams could read the inscription verifying this was the lost ring. 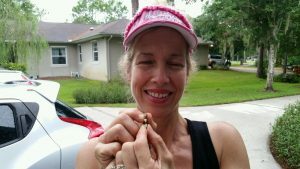 Jennifer is meeting with Howard and Jeanine on Thursday Oct 20 in Tampa to retrieve her husbands ring. Great Job Team !!!!!! You make us very proud. Sandy was working in her garden when a fly started annoying her. She swatted at the fly and accidently hooked into her 3 diamond pendant and sent it flying into the flower garden somewhere. She rented a metal detector and had no luck finding her pendant. She then contacted SRARC and Howard Metts went to the home to search for the pendant. 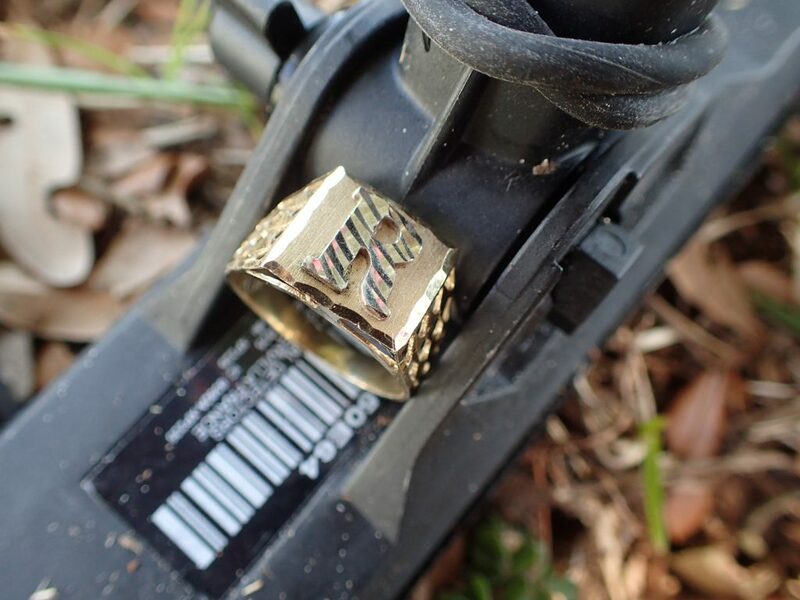 Howard started hunting with his detector but soon realized that he would have to use a pinpointer to hunt through the flower bushes. After 20 minutes or so he came up with the pendant which has 3 heart shaped diamonds each representing one of her three children. 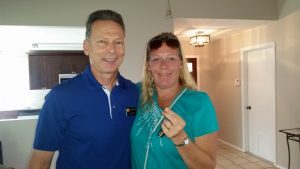 Sandy was so excited to get the pendant back, especially since her family will be moving out of the home in the near future and she did want to leave her precious pendant behind. 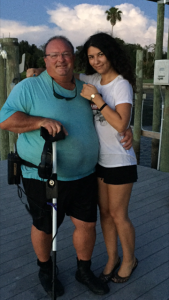 Marco and his wife were in town from Miami vacationing in St. Petersburg when they decided to spend the day at Clearwater Beach. 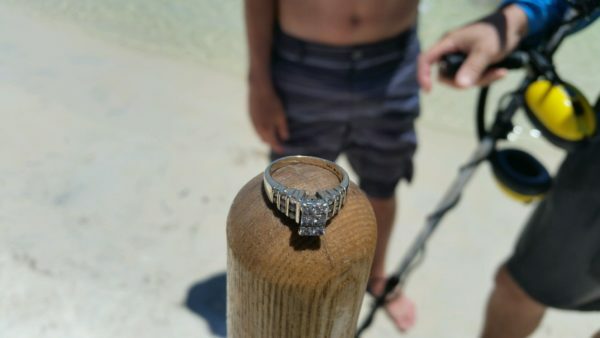 Marco was doing some digging in the sand and decided that it would be best to give his wife his wedding ring for safe keeping. 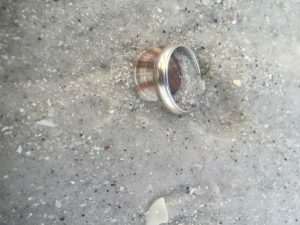 She put the ring in their beach bag and they went about enjoying the beach until a storm swept in rapidly and they were forced to leave the beach in a hurry. When they got to the car, they discovered Marco’s ring was missing. Fortunately for Marco, the valet at the Hyatt is very aware of the SRARC’s ring finder team and told Marco’s to call on them. 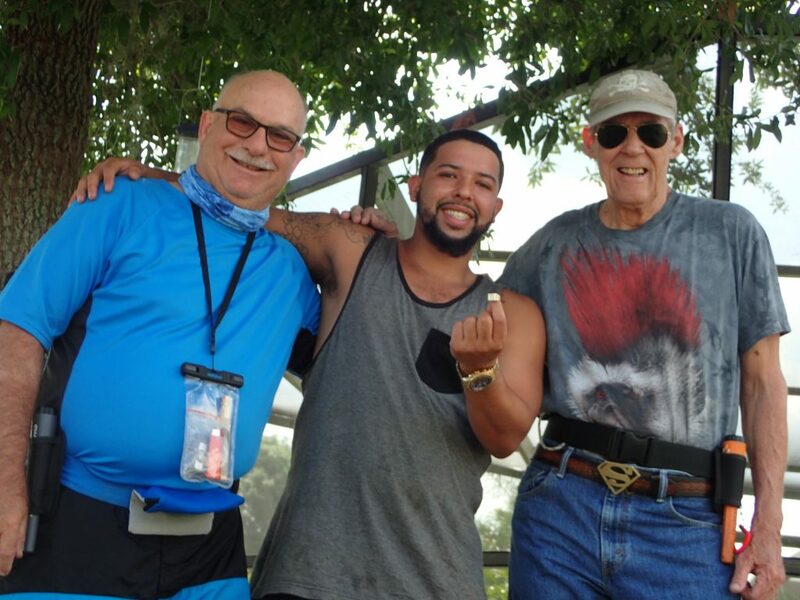 Marco called Tom jones who passed on to team member Stan Flack to see if we could locate the ring. 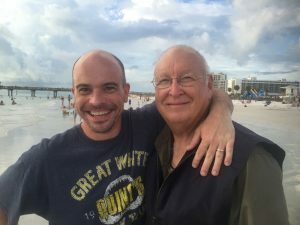 By now it was dark so with Marco and his wife leaving the next day, Stan suggested a very early morning hunt and the two met on Clearwater beach at 6 a.m. 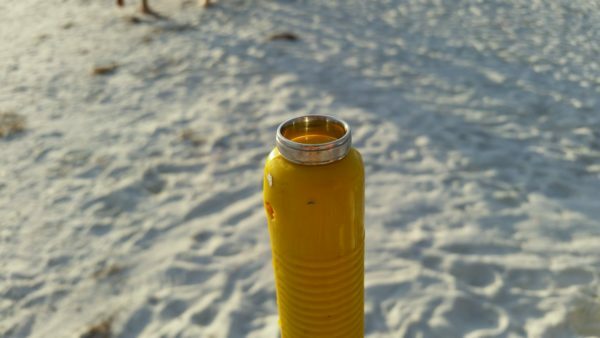 Unfortunately the place marker Marco had left of where they had been was now gone, but a few clues were still there including Marco’s eye for detail on a few beach trash items he remembered seeing. A little daylight, a little deducing on a path of travel, and a dash of luck and Stan had the ring in his scoop in about 20 minutes. A stunned Marco was very happy to have his ring back with smiles and high fives all the way around. Jason and his wife were visiting St, Petersburg from Walton, KY. While here they decided to take the family to Clearwater Beach for the day. Upon arriving at the beach they took some pictures then decided to go in the water. Jason walked out into the water about knee deep and at that time his wife asked him if he should take his ring off to make sure he didn’t loose it. At that time he looked down and it was already gone. 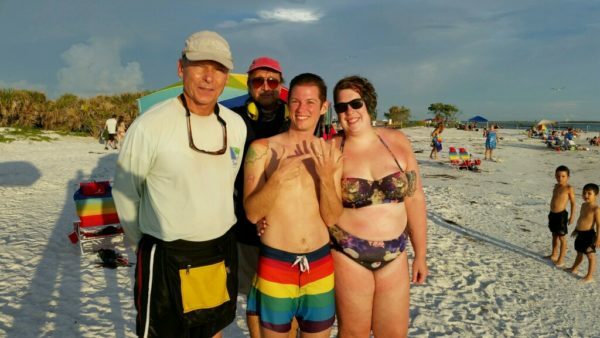 They went back to their umbrella and looked at the pictures they had just taken and sure enough it was on his finger right before he went in the water. After looking for the ring for some time they reluctantly got in the car and headed back to St. Petersburg. Jason was broken hearted because he would never see his wedding band again. That afternoon he decided to search the internet to see if there was someone that could hunt for the ring. He found the ringfinders.com and contacted Tom Jones. 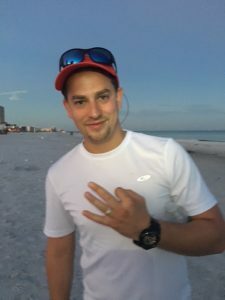 Tom told Jason to meet him at Clearwater Beach at 6:30 that same evening. 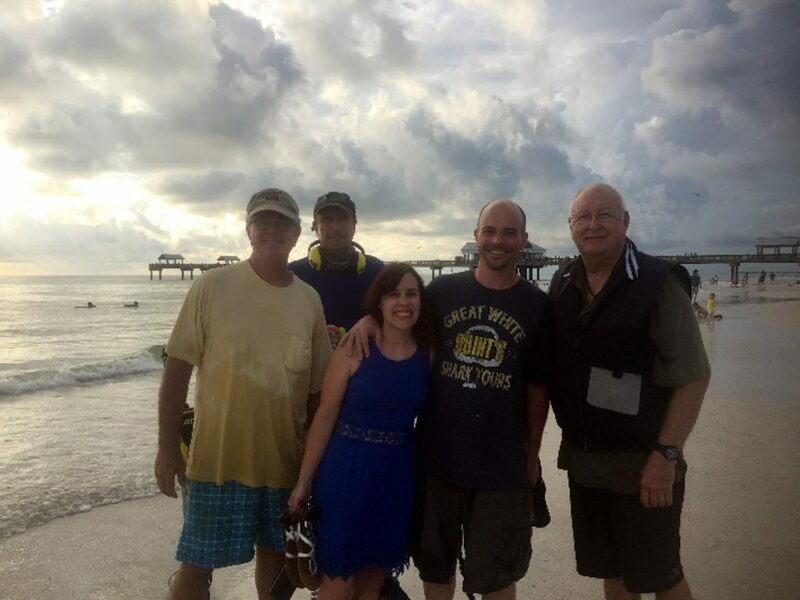 Tom, Ed Osmar, and Dimitur Alipiev met the couple at the beach and started hunting. 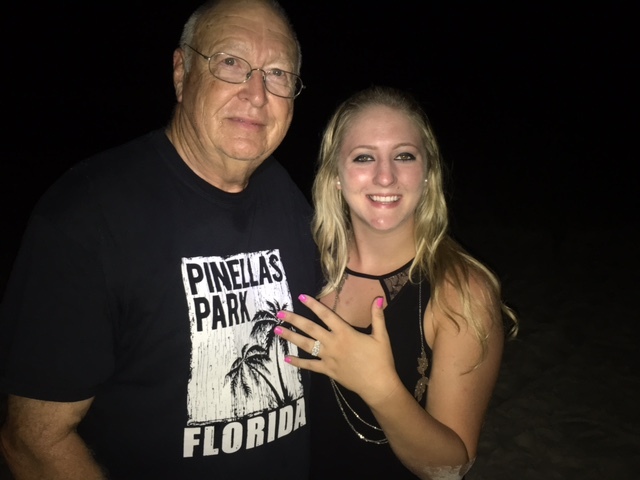 As the three were searching the water Ed noticed the couple standing in the water about 20 yards north of the area they had indicated the ring was lost. Ed thought, I bet that is where they really lost it. 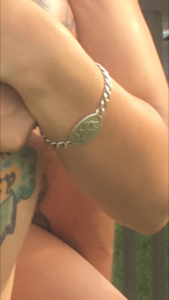 Moments after he reach the spot Ed called out “is it silver colored?” Jason and his wife ran over and she read the inscription inside the band and yelled out “Oh my God that is it”. After a round of hugs for all, the couple left the beach to enjoy the rest of their vacation that was destined to be a bad memory but now has a “great story” as Jason puts it. The link below is a news clip of the event.